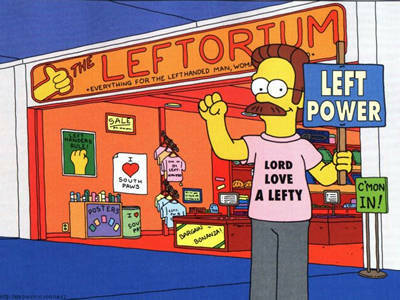 The Times New Roman: Happy Left-Handers' Day! “Left-handers are wired into the artistic half of the brain, which makes them imaginative, creative, surprising, ambiguous, exasperating, stubborn, emotional, witty, obsessive, infuriating, delightful, original, but never, never, dull." Being left-handed has some pros and cons but overall, I've always appreciated being a south paw. It's nice to have little things about yourself that make you unique.